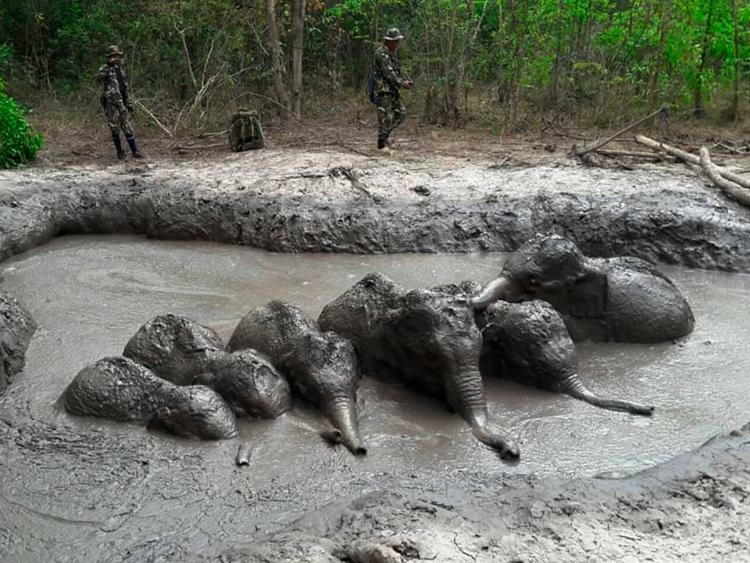 (Associated Press, March 29, 2019) BANGKOK – Rangers at a national park in northeastern Thailand have rescued six baby elephants that were trapped in a mud pit. 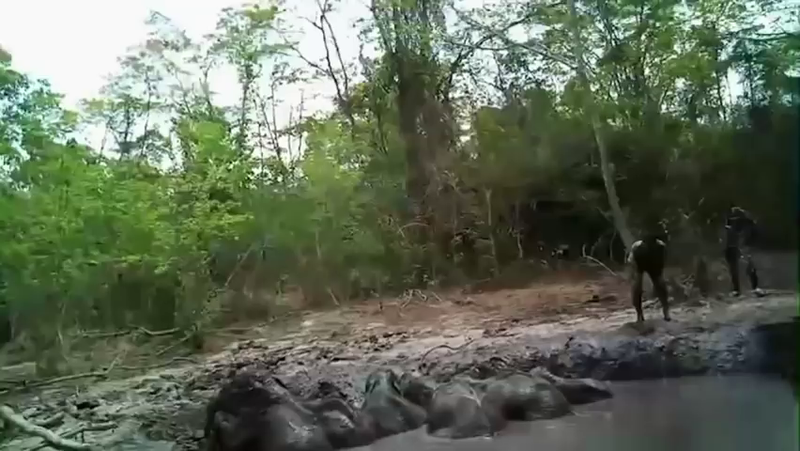 Park officials say the elephants were unable to climb up the pit’s slippery banks. Rescuers took five hours on Thursday to dig a path for them to clamber out.